For the Nokia faithful out there that may be contemplating picking up the Symbian Anna sporting Nokia E6 but are still sting on the fence undecided, perhaps a nice lengthy review video of the Nokia business orientated smartphone may help you off that fence and take the plunge, so that’s exactly what we have for your viewing consideration below. The Nokia E6 review video comes our way courtesy of the guys over at Daily Mobile and buy way of the guys at Phone Arena who made the review and have also posted quite an in-depth written review on their website, which you can read by visiting their site or if you simply don’t have the time you can check out the footage below. 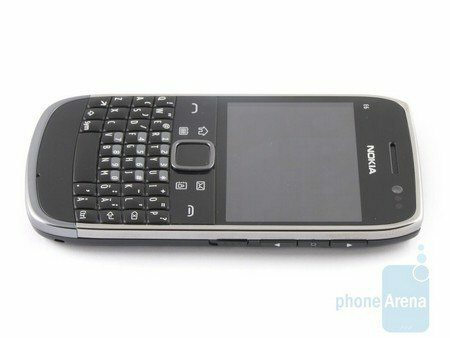 As said above, the Nokia E6 is a business-optimised smartphone and features a QWERTY keyboard and small but quite sharp display, and slick design. The guys say the Nokia E6 is beautiful hardware and highlights that Nokia can on occasion get things right. So as not to spoil your viewing enjoyment of the review footage, I’ll leave it right there so you can head on down to mash that play button and check out what the guys think of the Nokia E6 and feel free to voice your opinions to our comments area below.